A mid-weight insulated jacket, suitable for shoulder seasons or milder winter climates. We tested the best of the best winter jackets for 2018. Every product we assessed is worthy of your consideration. Consider the Jackson Glacier from Patagonia if you are looking for sharp looking casual wear for all but the coldest of conditions. Some jackets are more insulated than the Glacier, and some will certainly better protect against wet weather. However, for most purposes, the Patagonia has a place. The olive color we tested is no longer available. See a current color offering in the photo above. The Patagonia Jackson Glacier Jacket is warm, cozy, and simple. Our testers dug its style and comfort, and the insulation is just warm enough for most people's use. We score products in weighted categories. We then sum these scores to generate an overall, numerical ranking. We know that we've done a good job with our scoring metrics when the hierarchy of products as scored "objectively" match the general impression we generate as a team. The Patagonia scoring near the middle of the pack is not surprising in the least. Others are more polished or warmer, while about half are less so. Casual, classic styling blends in. The Jackson Glacier is the lightest sort that we still consider to be a full function winter parka. The less insulated pieces in our review all receive "caveats" in their respective reviews. Insulation is relative and somewhat subjective, but we have the opportunity to make direct comparisons between these products. We employ a team of testers, in a variety of conditions, making immediate comparisons between products. In this way, we generate the relative warmth scores our table reports. The Patagonia is warmer than three pieces, including the Top Pick for the "barely-winter" climates of southern latitudes Columbia Mission Air Interchange 3-in-1. The Jackson Glacier is similar in insulating value to Arc'teryx's Fission SV. The Jackson Glacier is all anyone should need in all but the coldest weeks in the United States "Lower 48". For extended time in the coldest conditions, something like the or the Top Pick Canada Goose Expedition Parka will be warmer. Patagonia and Arc'teryx hoods are world class. No other hoods in our test seal as well nor do they stay out of your way as well. Patagonia employs the best water repellent coating in the business. Somehow, over the course of years now and through multiple review categories, our testers have always found the outer fabric and the coatings of Patagonia clothing to be remarkably water resistant. It is the water-resistant coating of the outer fabric that makes water "bead up." Rub it in, let it sit, and spend enough time out and about, and water will still soak in. However, Patagonia products better resist this soaking-in than any others we use, perennially. This is good, in this case, because beyond the water-repellent coating, the Jackson Glacier has little to protect against wet weather. It protects enough, but the full Gore-Tex construction of the Arc'teryx Camosun and Arc'teryx Fission SV are more protective than the Jackson Glacier. The entire construction of the Jackson Glacier is soft. The outer, the inner, and the insulation are cozy and tender. Our testers loved these textures. The fit is unconfining and close. For the size, the Jackson Glacier runs small. Our 5'10", 165-pound lead test editor is almost exactly "medium" in virtually every clothing category. In the Jackson Glacier jacket, he preferred a size large. Only the Best Buy Marmot Fordham and the all down OR Whitefish tie the Jackson Glacier for comfort. Both are made of light and soft fabrics and insulated with down insulation - surely a recipe for comfort. The Rei Hoodie is constructed the same way, and is even lighter. The REI jacket scores a perfect 10 for comfort but is not nearly warm nor protective enough to challenge the others. As a puffy winter jacket, we'd prefer the fit of the Jackson Glacier to be a little looser. Size up if you are similar. The Glacier is a simple jacket. It has a basic pocket set and a brilliant hood. The feature set is comparable to that of the Woolrich Bitter Chill and the Editors' Choice Arc'teryx Camosun. The double-digit pocket count in the Top Pick Canada Goose Expedition Parka is dizzying when compared to the Jackson Glacier. The simple knit cuff inside the sleeve can be set up to seal over a glove. It is easier, though, to do so with Velcroed cuffs. The knit cuffs are great for casual usage. Our lead test editor tells an anecdote that summarizes the muted style of the Jackson Glacier jacket. He wore it for a few social engagements over a couple of weeks in November of 2017, but no one commented. He then switched to the bolder styled Woolrich Bitter Chill. A keen observer noted that he had switched and said, "that's nice, but what about that green one you always wear?". The Jackson is sharp enough to be memorable, but not so bold as to elicit immediate comment. At least on our main tester, the Patagonia had a familiar, easy style. Down insulation and seemingly stain-resistant fabric means that the Jackson Glacier should last the owner for years. A model like this will not see very much rugged use. If you will work in your winter jacket, something with a more robust outer layer is likely a better choice. The Canada Goose Chilliwack Bomber, for instance, has an outer fabric that is likely twice as rugged as that of the Patagonia. The outer fabric of the Patagonia Jacket, though, will last quite a bit longer than the whisper-weight textile shelling the REI Co-op Down Hoodie. This is a great jacket for all but the coldest of winter conditions. There are warmer jackets you should examine, especially if you live in Duluth or are often very cold. We certainly don't recommend anything lighter than the Jackson Glacier for normal winter use. Construction quality is great. This competitor will last years and years of regular use. Additionally, Patagonia is known for a good warranty. Consider that its price is sandwiched right between both of our Best Buy winners. Both of our Best Buy winners are warmer (with The North Face McMurdo III Parka being quite a bit warmer), but the price point is right. Warm bloods in cold climates or cold bloods in southern latitudes will dig the style and function of this parka. It is not quite insulated enough to receive any of our awards, but it is worth considering nonetheless. 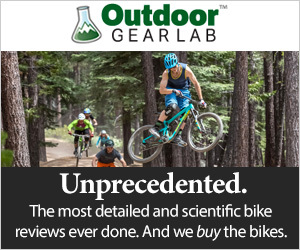 REI $173.83 - 50% off!